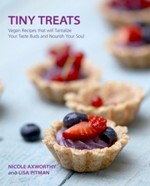 As an avid reader of recipe books, I rarely find myself purchasing a book whose target audience is new to vegan cooking. 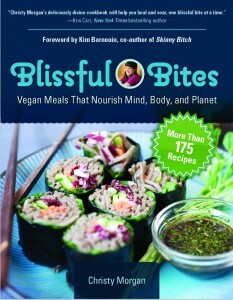 Yet, macrobiotic vegan chef Christy Morgan’s gorgeous first book, Blissful Bites: Vegan Meals That Nourish Mind, Body and Planet, seems fit for anyone interested in making healthy, delicious, animal-free meals without a lot of effort. Known to her online audience as The Blissful Chef, Christy takes you by the hand and eases you into her world of macrobiotic vegan eating with a comprehensive introduction, teaching you how to stock your pantry, the best cooking tools for your needs, some basic cooking and cutting techniques, and how to integrate fresh, natural, unprocessed and unrefined foods into every meal. 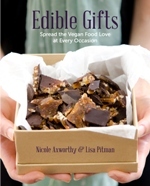 She explains in simple terms that what you eat has a powerful and profound effect on your entire life, and that if your diet is filled with junk, you won’t feel at your best—vibrant, alive and blissful. And trust me, the meals she shares are pure bliss. 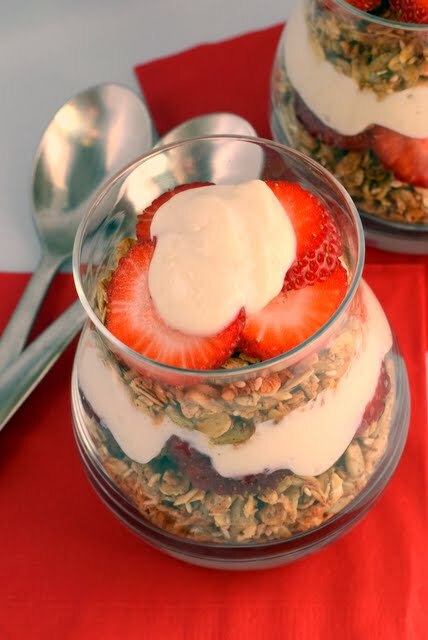 Most of the 175 recipes are low in oil, gluten-free and, equally important, can be made in under 45 minutes. I love that there’s hardly a tub of Earth Balance or soy cream cheese to be seen—the emphasis here is on seasonal, whole foods. 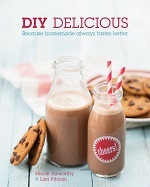 In addition to the bounty of information and delicious recipes, the book is loaded with glossy, full-colour photos and resources for cooks. Another fantastic feature is the recipe colour coding, where each recipe is easily identified by season, time and if it’s raw, gluten-free, soy-free or oil-free. 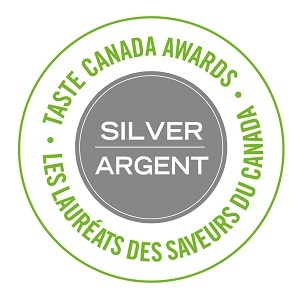 Star icons also indicate chef favourite and fan favourite recipes. Next, I couldn’t resist the appeal of the baked oil-free falafel with tzatziki sauce from the compassionate proteins section. 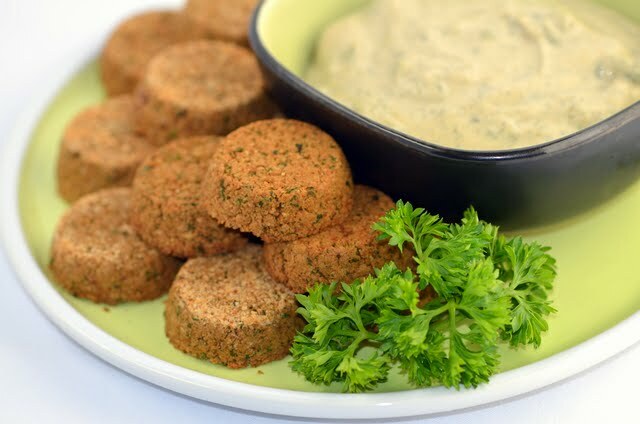 A light and tasty alternative to typically greasy falafel, this recipe is a great way to use up leftover chickpeas and fresh herbs. The accompanying sauce is a must-try, and is also great smothered on a wrap or baked potato. After a particularly busy work day, I was thankful for the quick and easy blissed Caesar dressing that I drizzled on a dinnertime salad. 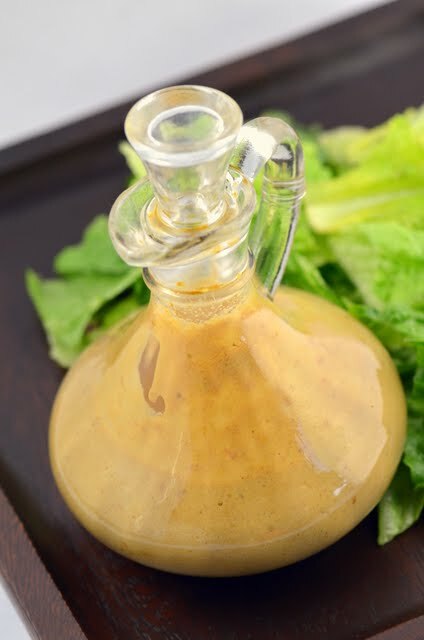 A much healthier alternative to traditional Caesar dressing that makes use of high-quality ingredients like almonds, pumpkin seeds and nutritional yeast, this dressing would make any naked greens dance with joy. 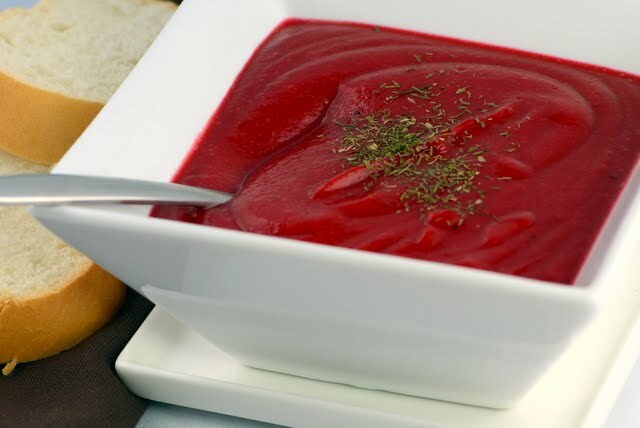 There’s nothing better than a big pot of soup simmering on your stovetop on a chilly fall day, so I wasted no time whipping up the love your heart beet soup from the appetizers and soups section. A quick and easy meal, this soup’s earthy, rich flavour is similar to Russian borscht, but it makes use of red lentils for extra protein and contains no saturated fats. I also made the easy cheezy broccoli soup a few nights later but failed to snap a photo before it was gobbled up. As an unabashed salad lover, I was curious to try the blissful Mediterranean salad as an excuse to enjoy the beautiful flavours of the Mediterranean from afar. 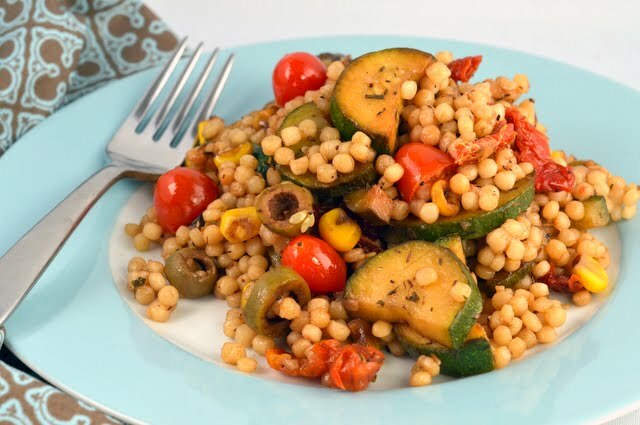 Loaded with Israeli couscous, green olives and tomatoes, this one-pot meal is a testament to the creative use of flavours this book has to offer. As you can tell, Blissful Bites has remained at the top of my reading pile since September because of the feel-good recipes and information it contains. 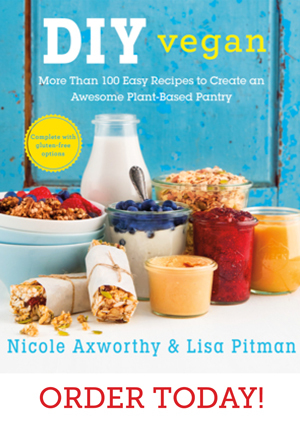 I find myself returning to its pages as an excellent resource for quick, nourishing meals, and I wouldn’t hesitate to recommend it to anyone looking for the same. Looks like you made a good choice in getting that book. It is hard to find a good reference book that has enough variety these days. Thanks for sharing. So true! I really love this book. Thanks for the lovely review! The photos look amazing. Glad you are liking the book!